Paperback, 8.5 x 11.25 in. / 36 pgs / 26 bw. 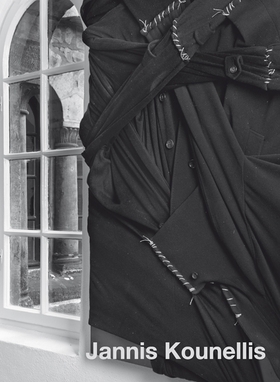 This publication presents the newest work by Greek artist Jannis Kounellis (born 1936)--a dense installation of works made from coat racks, built specifically for the Magdeburg museum. Magdeburg also includes Kounellis’ monotypes from 2010–2011, as well as some older pieces. FORMAT: Pbk, 8.5 x 11.25 in. / 36 pgs / 26 b&w.